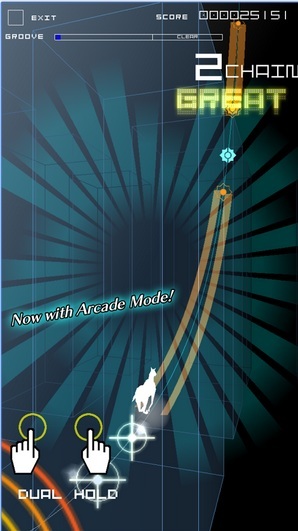 The award winning Groove Coaster with its unique gameplay and multiple awards from all over the world has been upgraded with the new Original Style where you can use your surroundings as instruments to play the game!Intense and exhilarating gameplay by simply tapping in time with the music Blast off through the music galaxy on a roller coaster of lights and sounds 158 Total Tracks! Over 850 Stages A huge compilation of amazing music from tons of genres that can only be enjoyed here! Vocaloid, Video games, and even original tracks commissioned from popular artists specifically for Groove Coaster.